Mon-Fri: 8a.m. - 6p.m. | Sat: 8a.m - 6p.m. | Sunday: 8a.m.-12p.m. As members of the Stoughton community, our pharmacy is dedicated to providing our hometown community with convenient service and upholding the highest standards for our practice. From medical equipment and gifts to our mobile app and online refill services, our team is here for you every step of the way. Located on the corner of Main Street and Division, McGlynn Pharmacy proudly serves the Stoughton community. For over 110 years, this corner has operated as a locally-owned pharmacy. Since re-opening in 2002 under the ownership of Dan McGlynn, our pharmacy staff continually provides superior customer service and hometown appeal. As an independent pharmacy, we strive for shorter wait times, less red tape, and personable interactions with your pharmacist. At McGlynn, we believe that the best healthcare service provides convenience and expertise to our patients. Our staff is trained to assist you with insurance billing, medical equipment purchasing, and immunizations. Stop by today for a private consultation. 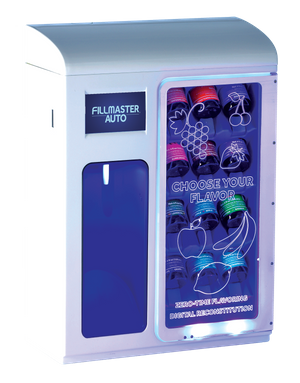 We are thrilled to announce the installation of the new FlavorMaster. If you love our flavoring program, come on in and get a glimpse of our new technology that is here to give our customers a better experience!